SAN PEDRO — In 1953, when this photo was taken, the Fisherman’s Fiesta in San Pedro was all the rage. At this time, fishing was thriving in the L.A. 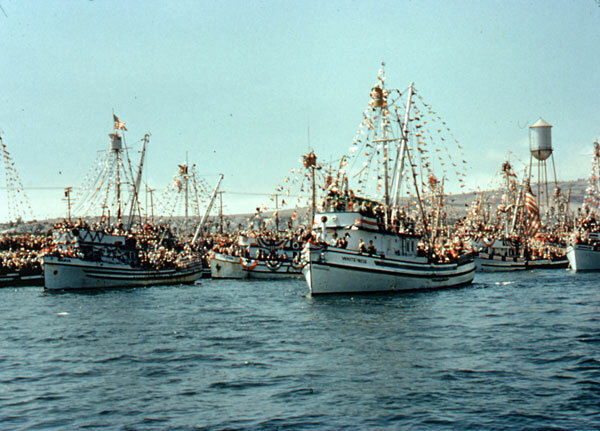 Port and once a year the San Pedro Fishing Fleet was blessed by the Roman Catholic Church. Vessels were decorated and there was much pomp and circumstance to celebrate commercial fishing in the area. Today, however, the commercial fishing industry in San Pedro has waned considerably with the last cannery closing in 2001. The Fisherman’s Fiesta, along with the canneries, has disappeared.